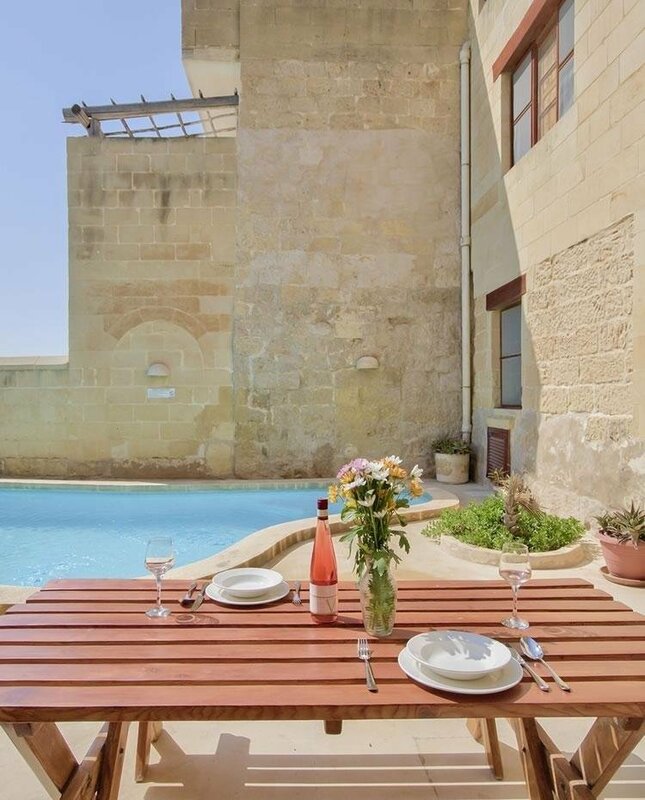 Welcome to the Gozo Farmhouses collection where you can find peaceful relaxing and hassle-free accommodation. Browse through our website: www.gozofarmhouses.com and choose your preferred distinct converted farmhouse. We have some special offers for last minute bookings in May. 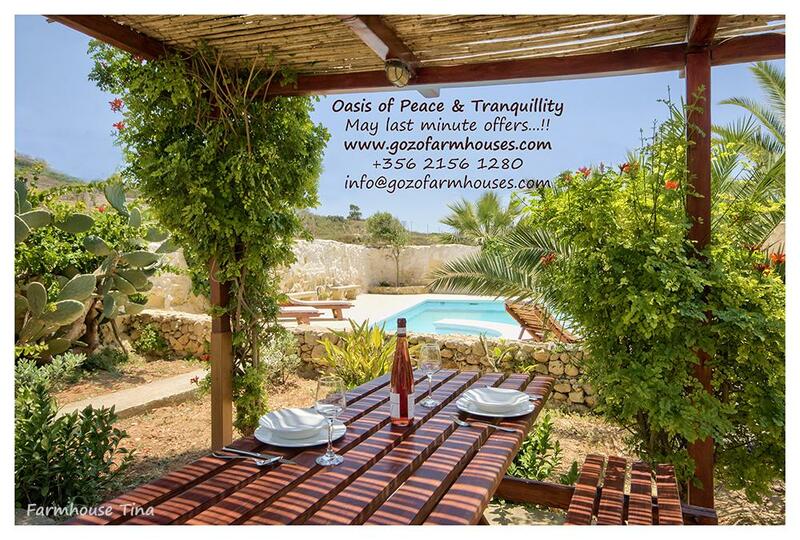 Contact us now: info@gozofarmhouses.com or call us on +356 2156 1280. The Government of Malta is introducing an Environmental Contribution on stays at all type of accommodation. This will be effected as from 1st June 2016. All revenue generated from this initiative will be used to upgrade and embellish the local infrastructure in touristic areas around the Maltese Islands. This will be collected from all guests starting the holiday on 1st of June 2016 or after. The contribution amounts to €0.50c per night up to a maximum of €5 for each continuous stay in the Maltese islands, including twin-centre holidays in Malta and Gozo. Alitalia is to take a 49 per cent stake in Air Malta, Tourism Minister Edward Zammit Lewis announced recently. To this effect a memorandum of understanding was signed last week. The Italian carrier is 49 per cent owned by the UAE’s Etihad Airways, which has been leading its revival after years of financial losses. Minister for Tourism stated that customers would benefit from Alitalia's global partnerships through improved connectivity, while the tourism industry would benefit as a much wider network of tourists would be accessed. He further added that this would herald a turnaround for Air Malta and would allow the airline to grow. Air Malta Chairperson Maria Micallef said the deal was still in its early stages. "The Memorandum of Understanding means that from now on we will not speak to other airlines, but only to Alitalia," she said. It is hoped that technical negotiations will be concluded by the end of July. This, she said, would bring investment opportunities for Air Malta. Alitalia has been turned around by Etihad, and is expected be profitable by 2017. Alitalia in a statement said the memorandum of understanding will lead to a comprehensive due diligence with the possible intention of becoming a 49% shareholder in the Maltese airline. "Once the due diligence is complete, the boards of Alitalia and Air Malta will make a decision on whether to proceed with an undertaking. A new service aimed towards tourism was recently inaugurated on Gozo. This service Hammerhead Projects (www.hammerheadprojects.com) is a small business run by a Franco-American couple who boast over 25 years of drag racing and circuit racing experience. The main aim of this business is to provide hassle free, fast and competent services to all the customers. Hammerhead Projects propose rentals of very recent 125cc scooters and 125cc enduro/super-moto type motorcycles. The vehicles can be delivered to any location in Gozo free of charge. Hammerhead Projects specializes in maintenance, restoration and high performance parts for all types of vehicles (Harley-Davidson, Enduros, Cross, Super-sports, vintage, etc), as well as rider gear and accessories.